It is not often that you would see this gathering of three of Saturn’s many moons in one picture. The Cassini spacecraft was able to capture Pandora, Prometheus, and Pan (from right to left) in this picture using its narrow angle camera. 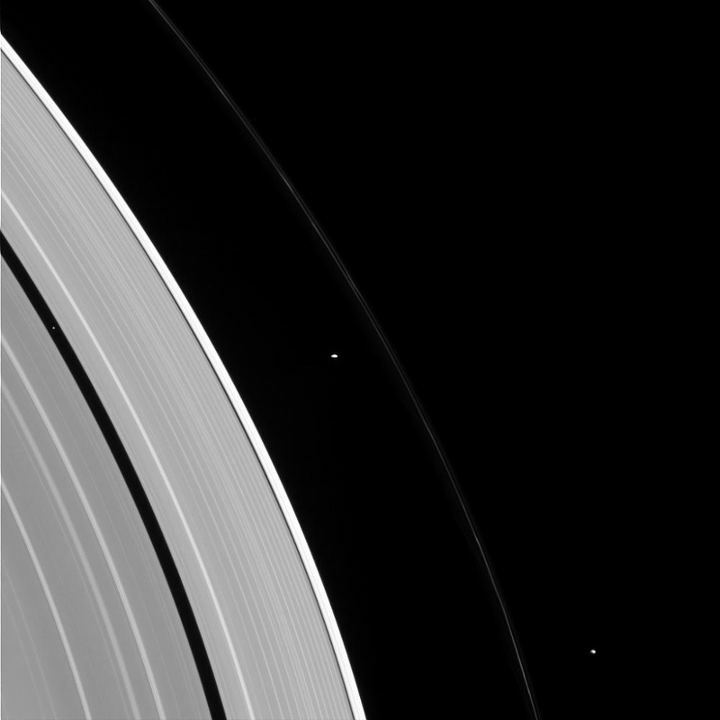 It is also believed that these moons play a role in keeping Saturn’s F-ring narrow. This picture was taken from a distance of approximately 1.6 million miles (2.6 million kilometers) on January 2, 2015 using the visible light spectrum. 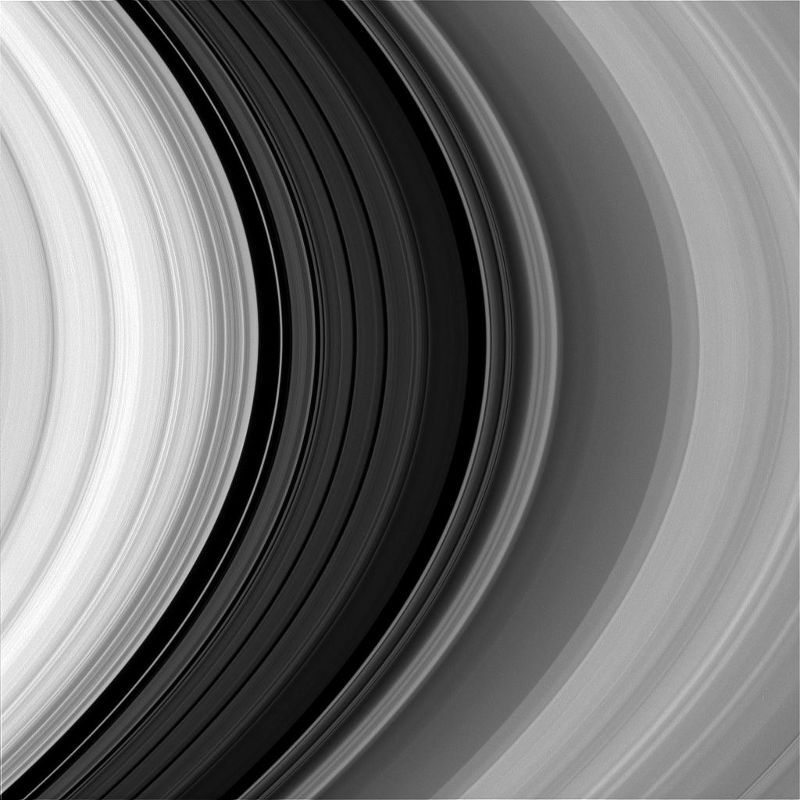 This view looks toward the sunlit side of the rings. 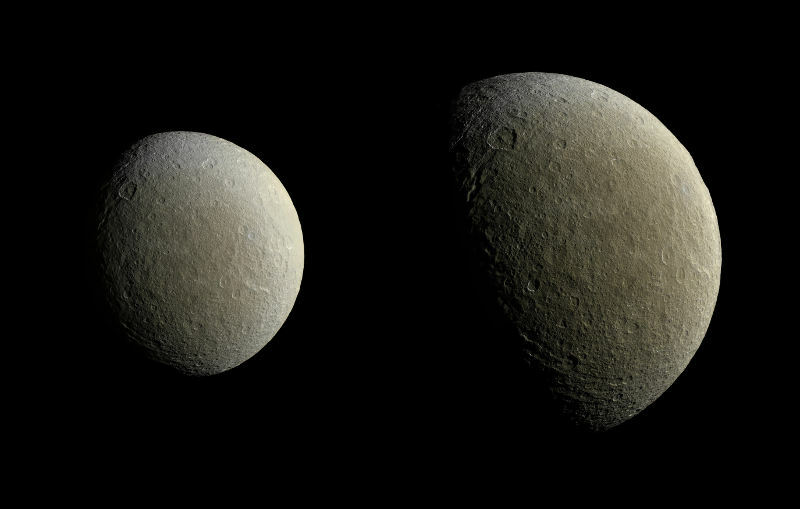 Iapetus is an interesting satellite of Saturn in that it has both a light side and a dark side – a yin and yang. Italian mathematician, astronomer, engineer, and astrologer Giovanni Cassini was first to observe the dark-light difference when he discovered Iapetus in 1671. So it is fitting that this picture was taken by the space exploration mission partly named after him (Cassini-Huygens). 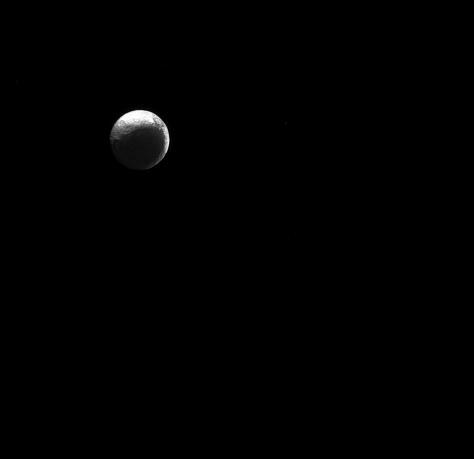 The narrow angle camera on the Cassini orbiter took this photograph of Iapetus from a distance of approximately 4 million kilometers. No matter how many pictures one may have seen of them, the rings of Saturn have a fascinating, almost mystical effect on many people. For this reason the Cassini space probe and its advanced imaging systems have been a boon for Saturn enthusiasts. The on board narrow angle camera took this picture of the rings in red light so that researchers could study the subtle color variations of Saturn’s rings (as they are all red). This shot captured the rings from a distance of approximately 1.4 million kilometers away from Saturn, looking toward the sunlit side of the planet’s rings and about 11 degrees above the ringplane. At first sight, this looks more like a irregularly shaped piece of ‘space junk’ floating along than the moon of a planet. 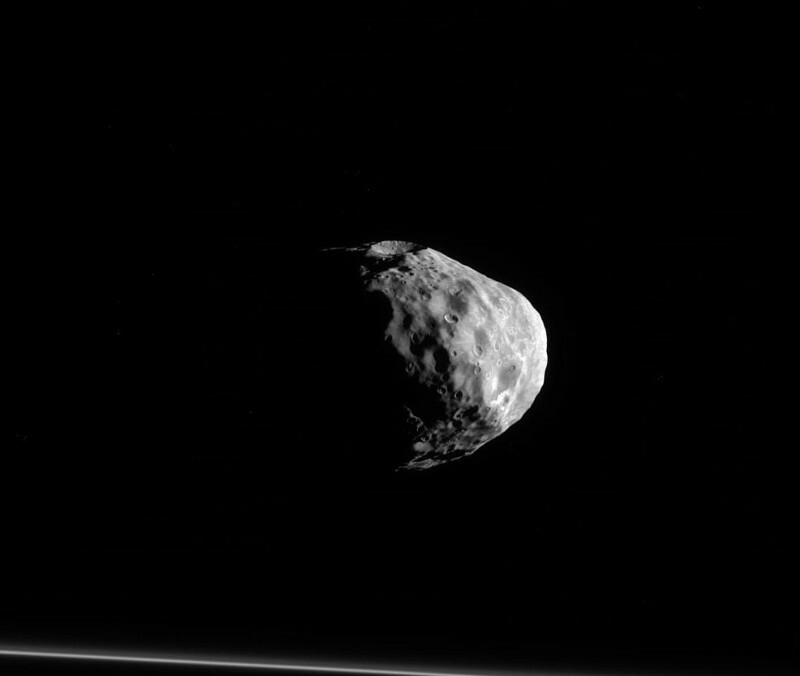 But in fact, this is Janus, one of Saturn’s moons. Named after the ancient Roman god of beginnings (which is why we start the Gregorian calendar with the month of January), this 179 kilometers wide satellite was photographed by Cassini using its narrow angle camera from a distance of 87,000 kilometers. Barely visible at the bottom of the picture are Saturn’s F-rings.